Yossi Atias, the founder and CEO of Dojo-Labs, told ProductHunt that the started his company after noticing that his 14-year-old daughter had placed a BandAid over the camera on her laptop. She did that because she’d learned in school that people can hack the cameras on laptops and watch you without your permission. Atias, who has a background in state security, realized that our homes are rapidly filling with the most advanced technology that humans have ever seen – while the security that should come with that technology just isn’t there yet. The actual device is designed to look like a black pebble sitting on top of a white box. Once it’s connected to your network, you’re protected from security breaches, from hackers and commercial products. While the pebble uses a light system — “red” for when there’s an issue that you need to address, “orange” for when a threat has been detected and automatically taken care of, and “green” for when the network is safe — it also comes with an app that updates users of any threats to the system. 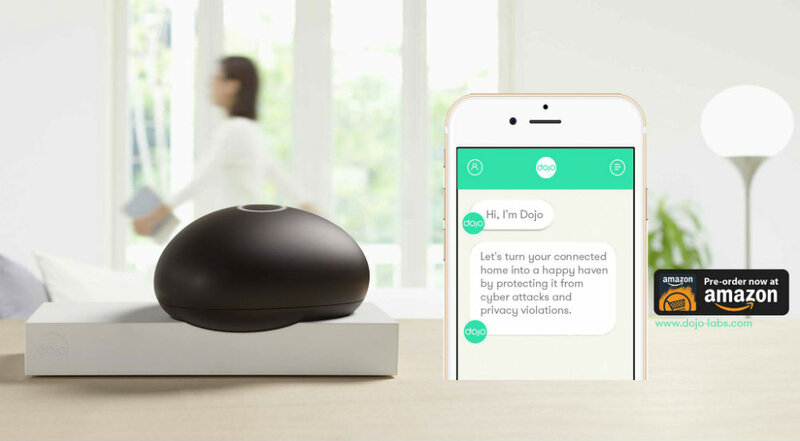 Dojo monitors all of your internet-connected devices, from phones to laptops to tablets to smart alarm systems. It’s also a smart system itself, learning from your devices and their behavior patterns in order to detect attacks. Dojo is currently in pre-sales. If you’re interested in protecting your home and all of the sensitive information stored on all of your devices, head over and buy one for only $99.